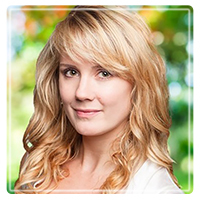 Vancouver Therapist: Erica Collyer Beauchamp - Therapist V6Z 2R4. Send A Message To Erica Collyer. Session Fees: Individual sessions cost $160 per 50-60 minute sessions. Couple's sessions cost $199 per 90 minute sessions. I see therapy as personal training for the brain. People often aren't willing to spend the time on their mental health but don't hesitate to spend energy and money on personal training, massage therapy, yoga, naturopathy, chiropractic healing, and so on. These are all healthy choices but most don't teach how to improve the way you think. I've been a therapist for nearly 10 years and I've worked with a variety of individuals and couples dealing with personal problems ranging from trauma, addiction, depression, infidelity, poor self-esteem, anxiety, disordered eating, to communication problems, conflict within relationships, break-ups, and adjustment to change struggles. I use an approach suited to each client's specific needs and these range from Emotion Focused Therapy (EFT), Cognitive Behavioural Therapy (CBT), Gestalt Therapy, and Dialectical Behavioural Therapy (DBT). The couples work that I do is based on my training from renowned therapists and researchers Dr.'s Julie and John Gottman who developed the Gottman Couples Therapy method. Much of my experience in the counselling field has been gained through my work at treatment centres, corrections, the RCMP, the University of BC (UBC) Counselling Services, and private practice business, Counsel Me Vancouver. I now work full-time in Vancouver at my private practice as a Registered Clinical Counsellor. I believe people don't have to struggle through their issues as much as they choose to do. I work to inspire, educate, and give insight to clients so that they can achieve resolution to their problems. Counselling can speed the process of healing and teach skills to use so that the issues do not arise repeatedly throughout one's life. I'm passionate about the work that I do and believe in helping people who have the courage to seek out help.